The number of abortions performed in Texas dropped 14.2 percent in 2014, with almost 9,000 fewer procedures in the state compared to the year before. The number of abortions performed in Texas dropped significantly in 2014, with almost 9,000 fewer procedures in the state compared to the year before. Early estimates by state health officials show 54,191 abortions were performed in Texas in 2014 — down from 63,168 in 2013. The state estimates do not include abortions Texas women obtained at facilities outside the state. In 2013, 681 Texas women obtained abortions out-of-state. The new Texas estimates come as the U.S. Supreme Court considers the constitutionality of Texas abortion restrictions that have been credited with the decrease in the number of procedures. 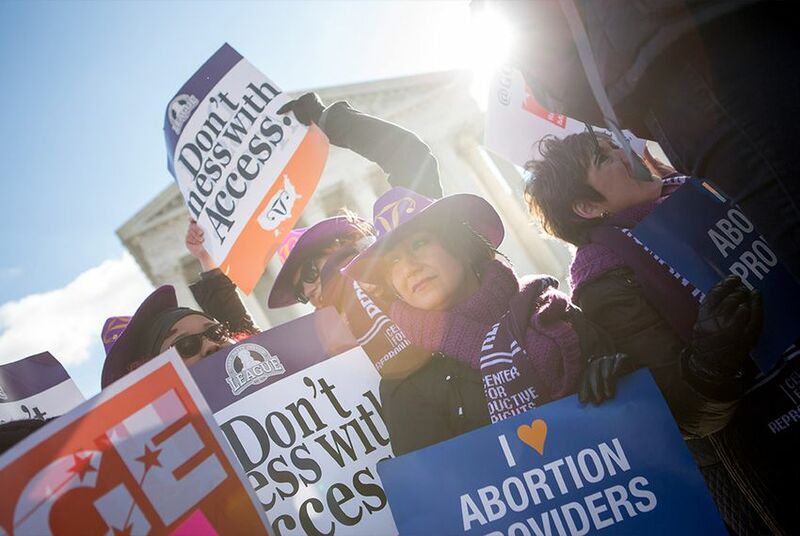 The high court appeared divided during oral arguments earlier this month in a case challenging Texas’ 2013 abortion restrictions, collectively known as House Bill 2. That law requires doctors performing abortions to have admitting privileges at hospitals within 30 miles of an abortion clinic. A separate provision, which hasn’t gone into effect, requires clinics to maintain the same standards as hospital-like ambulatory surgical centers. Those standards range from minimum sizes for rooms and doorways to the number of nurses required to be on duty. While the annual number of abortions performed in Texas has declined in recent years, the new estimates of a 14.2 percent drop from the state's Department of State Health Services offer a glance at abortion rates in the first full year since the requirements on admitting privileges took effect. More than 40 abortion clinics operated in the state before the Legislature passed HB 2 in 2013. Eight clinics closed in anticipation of the law taking effect and 11 clinics closed the day the admitting privileges provision took effect in late 2013, according to lawyers representing the abortion providers suing the state. Only 19 Texas clinics remain in operation today. If the Supreme Court upholds the state's abortion law in its entirety, that number could fall to less than 10 — all in major metropolitan areas.